It’s never pleasant to lose your job. You lose a major source of income, and you have to find a new job. However, when you are laid off, rather than fired, your situation is a little bit better. Being laid off provides you with a degree of protection that being fired doesn’t come with. In most cases, whether you are considered laid off or fired depends on the circumstances. Often being laid off is the result of larger company-wide issues. Lay offs usually affect an entire segment of workers at the business, and it’s considered more a function of the current environment than anything you actually did. Being fired is often the result of something personal. You might be fired because your performance isn’t up to scratch, or because you are causing problems in the workplace. It’s common to be fired for sexual harassment, bullying, or other disruptive behaviors. There are dire consequences associated with being fired â€“ beyond any legal ramifications you might face if your firing is the result of an accusation of harassment. First of all, you aren’t eligible for unemployment benefits if you are fired from your job. Unemployment benefits are designed to help those who are victims of economic circumstances, and those who are fired don’t get access to those benefits. Additionally, there are no severance packages for being fired, nor is there the ability to use COBRA for health benefits. You also lose your vacation days and you won’t be hired back at the company. If you are laid off, your former employers can hire you back when the situation improves. On top of that, the fact that you were fired is something that is likely to come up in job interviews as you search for a new position. This can have a huge impact on your ability to find a new job. Not only do you suffer from a lack of benefits to help sustain you when you are fired, but it’s harder to get more work. When you are fired, you can only rely on your emergency fund, and helped offered by friends, relatives, and charity. There are some circumstances that are the same, whether you are fired or laid off. You have the benefit of your Flexible Spending Account money that you have spent. If you signed up to have $2,000 deducted from your paycheck over the course of the year, you can spend that money at any point. So, if you spent $1,500 by March (after having $500 deducted from your paycheck up to this point), and you are fired at the beginning of April, you don’t have to pay the $1,000 you still “owe” to the FSA, even if you are fired. Another similarity is that being fired or laid off has no bearing on whether or not you are fully vested in your company’s retirement account. This provision deals mainly with the employer match portion. In many cases, to keep the employer match, you have to work a certain number of years at the company (usually between three and five). If you are fired or laid off before you are fully vested, you lost the unvested amount, which can be disappointing and set back your retirement efforts. In the end, though, it’s much better to be laid off than to be fired (although you probably don’t want either situation to afflict you). If possible, avoid actions that are likely to get you fired, and instead focus on producing good work that your employers appreciate. 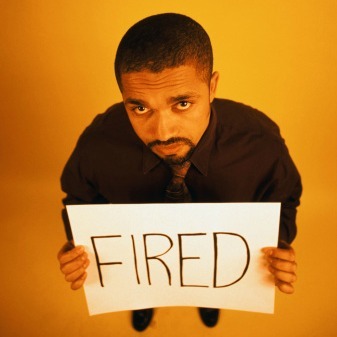 Tell us about a time you’ve been fired or laid off. How did it affect your life? Leave a comment!